A big a mistake I see when I review CVs is not enough of the right content. Recruiters are really not interested in every single responsibility, but will be keen to see what you have achieved and the value you had on the business. You want to appear as an achiever and not a doer. Focusing on key achievements is often the hardest part of the CV, but it’s amazing when you take time to stop and think about what you have achieved in a role, there are frequently overlooked accomplishments. For example, personally responsible for the introduction of a multimillion pound software system that enabled cost savings of £2.2 million, increased customer satisfaction from 45% to 85% and secured an additional 152 orders for a new international client. When writing a CV a common mistake I see is a lot of unnecessary information meaning CVs are more than 2/3 pages. In this case you may want to remove some of the later roles in the career summary if they were over 15 years ago. 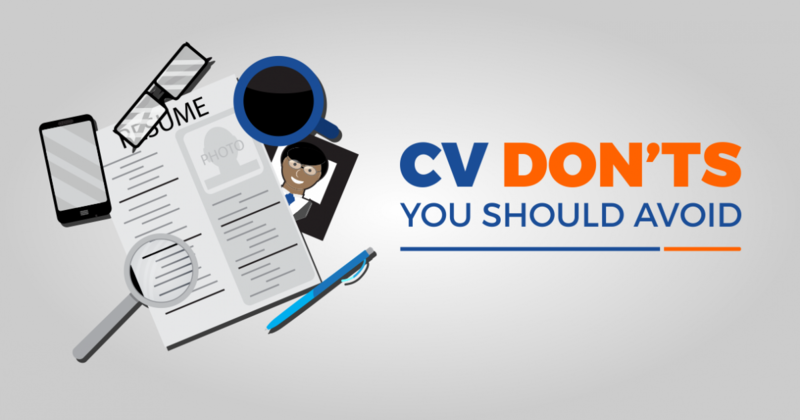 Also, including details such as marital status, reasons why you left a company, salary details and personal circumstances are best removed from your CV and left for later in the application process if necessary. A common concern I get from people that I work with, is that they have not heard back from the applications they have made. A big clue of what the recruiter is looking for is outlined in the job description and person specification. If you use this and ensure your CV matches with the essential and some of the desirable criteria, then this should ensure you get that all important interview. It also demonstrates to the recruiter that you have considered how your skills and experience fit within that organisation and more importantly that you have taken the time to reflect this in your application.